Autopilot is an automatic flight control system that keeps an aircraft in level flight or on a set course. It can be directed by the pilot, or it may be coupled to a radio navigation signal. Autopilot reduces the physical and mental demands on a pilot and increases safety. The common features available on an autopilot are altitude and heading hold. The simplest systems use gyroscopic attitude indicators and magnetic compasses to control servos connected to the flight control system. [Figure 6-24] The number and location of these servos depends on the complexity of the system. 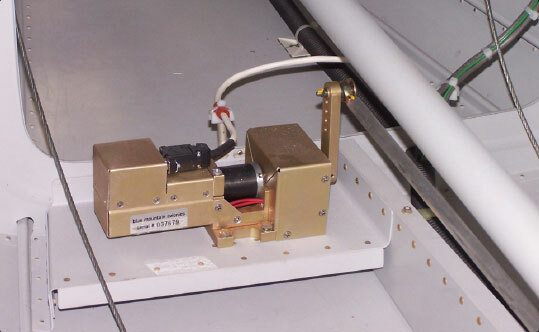 For example, a single-axis autopilot controls the aircraft about the longitudinal axis and a servo actuates the ailerons. A three-axis autopilot controls the aircraft about the longitudinal, lateral, and vertical axes. Three different servos actuate ailerons, elevator, and rudder. More advanced systems often include a vertical speed and/or indicated airspeed hold mode. Advanced autopilot systems are coupled to navigational aids through a flight director. Figure 6-24. Basic autopilot system integrated into the flight control system. The autopilot system also incorporates a disconnect safety feature to disengage the system automatically or manually. These autopilots work with inertial navigation systems, global positioning systems (GPS), and flight computers to control the aircraft. In fly-by-wire systems, the autopilot is an integrated component. Additionally, autopilots can be manually overridden. Because autopilot systems differ widely in their operation, refer to the autopilot operating instructions in the Airplane Flight Manual (AFM) or the Pilot’s Operating Handbook (POH).